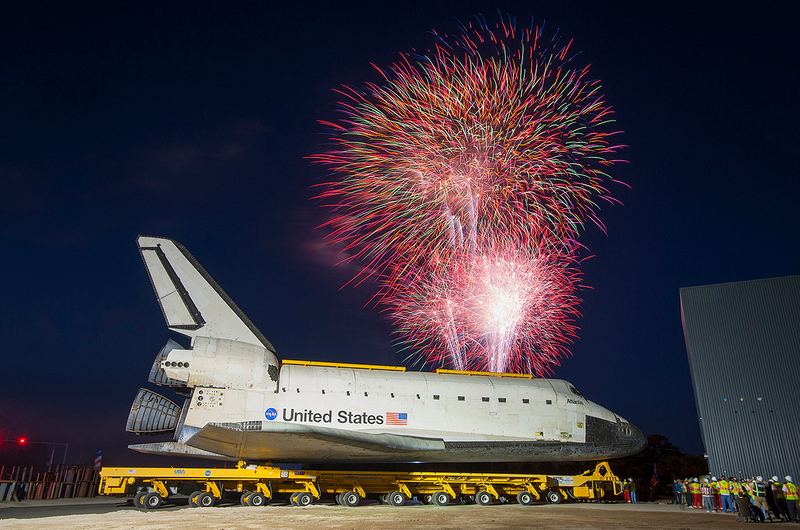 — NASA's space shuttle Atlantis has again reached its "final stop," and this time, it's for good. 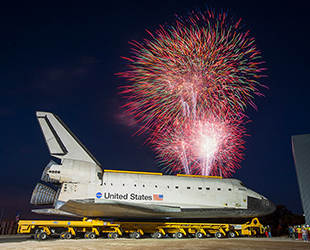 On Friday (Nov 2. 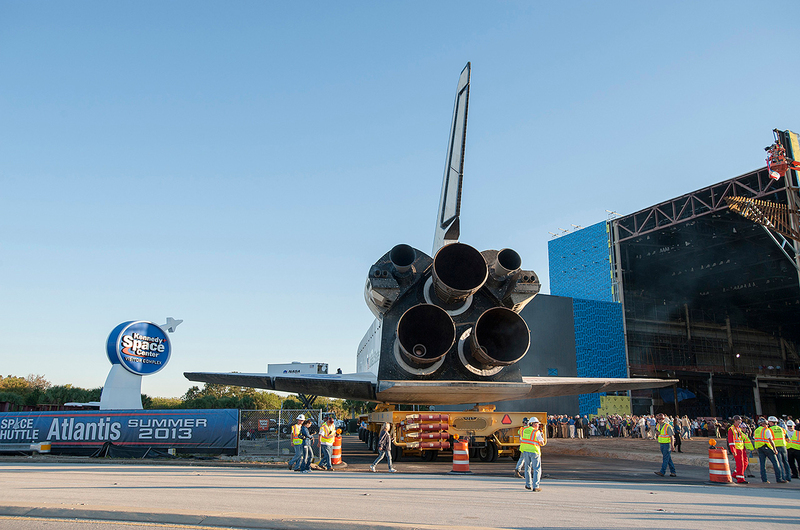 ), the space agency's last shuttle to fly in space became the last to be delivered to a museum as Atlantis arrived at NASA's Kennedy Space Center Visitor Complex to begin its new life as a dramatically-displayed centerpiece of a $100 million exhibit scheduled to open in July 2013. 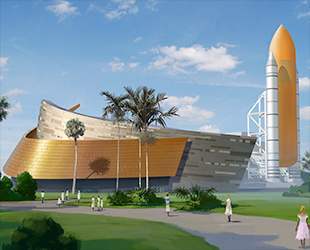 The 9.8 mile (15.8 kilometers) trip, which began at dawn at Kennedy Space Center's 52-story tall Vehicle Assembly Building (VAB) and ended at dusk at the visitor complex's five-story exhibit building, signaled an end to the epilogue of NASA's 30-year space shuttle program, which came to its close last year. 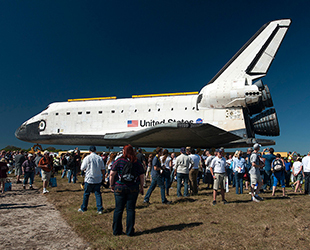 "Now Atlantis will continue its life," said Chris Ferguson, who commanded Atlantis on its 33rd and final mission in July 2011, remarking then that its landing was the orbiter's — and the shuttle program's — "final stop." 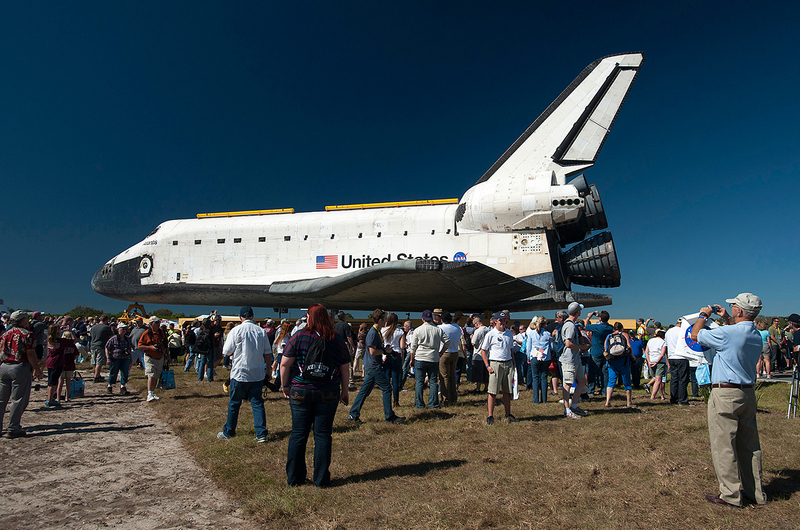 Atlantis completed its last move with NASA officials and thousands of visitor complex guests looking on. 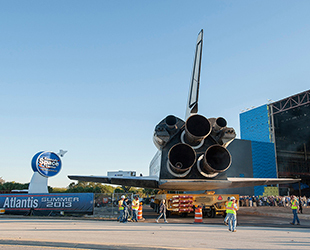 A parade of more than 30 former astronauts joined the orbiter for the final leg of the trip before it parked in front of the remaining open wall of the 90,000-square-foot exhibit building that has been under construction since January. 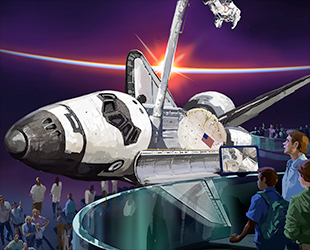 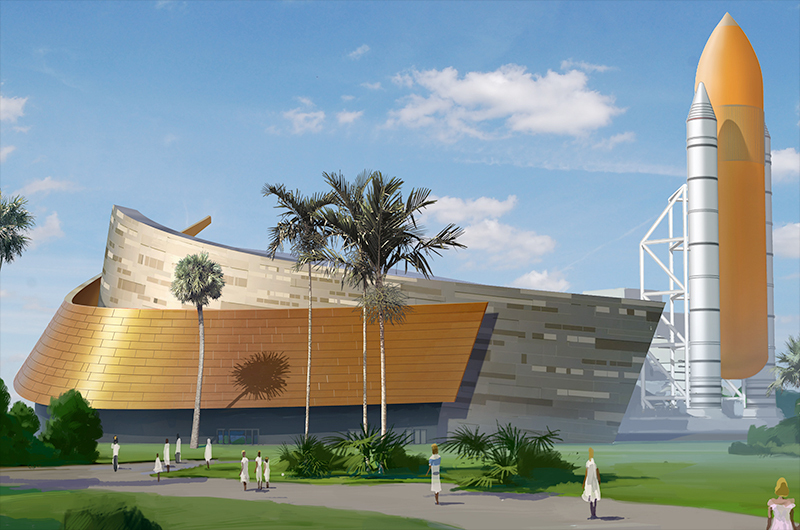 When Atlantis' still-be-named facility opens its doors to the public next summer, guests will have the opportunity to see the shuttle as only astronauts like Ferguson were able to do so. 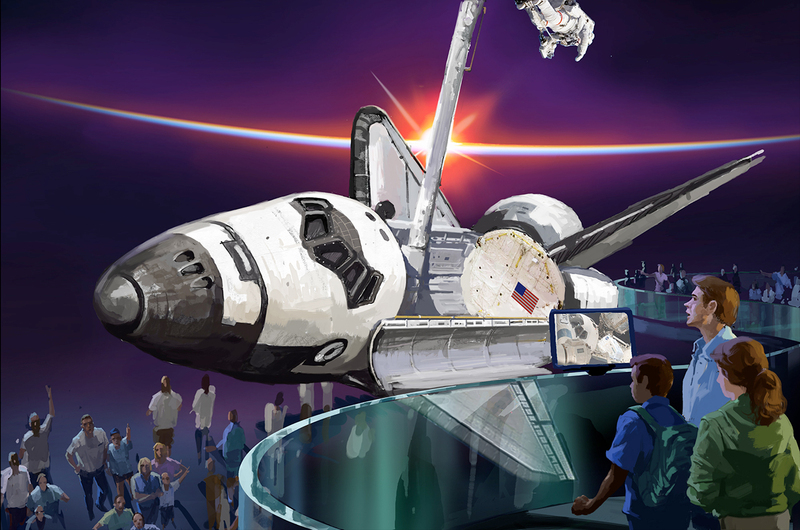 The orbiter will be exhibited as it looked when in Earth orbit, having just departed the International Space Station (ISS), with its payload bay doors open and its Canadarm robotic arm deployed.